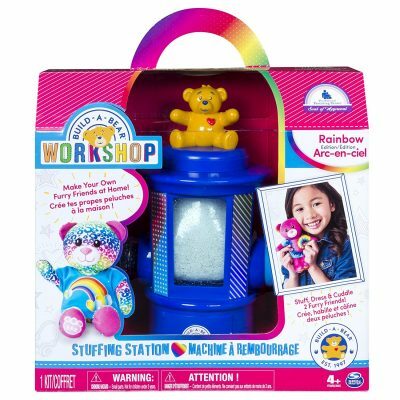 Manufacturer’s Description: Bring home the magical build-a-bear experience with the build-a-bear workshop stuffing station! use the station to stuff 2 furry friends, make a wish in the hearts, dress them in unique outfits, and name them on their birth certificates. 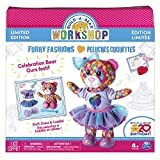 Collect all of the soft and cuddly build-a-bear furry friends (each sold separately). 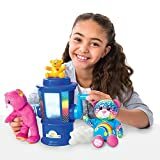 stuff with love and make a wish with build-a-bear! styles may vary. For ages 4 years and over. 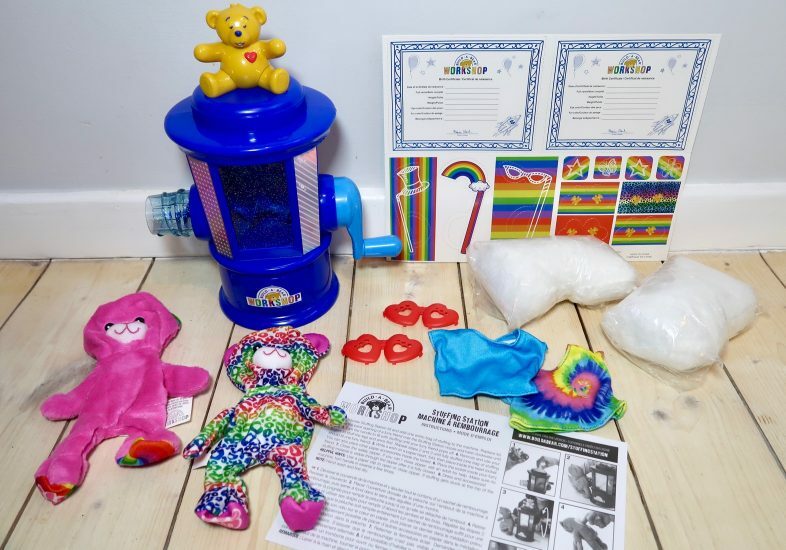 Review: Lydia absolutely adores soft toys so when we were sent this Build A Bear Stuffing Station to review she was very happy – being able to stuff her own bears was really exciting! Inside the box you get two bears, along with the stuffing, hearts, and t-shirts to complete them. 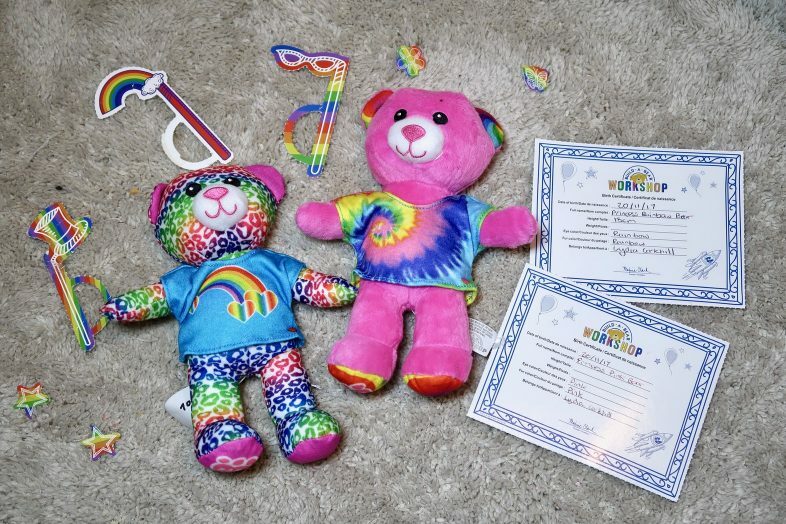 You also get some pop out cardboard accessories and birth certificates for your bears, and of course the stuffing station itself. 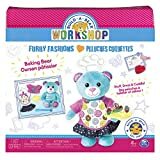 The instructions are really clear and helpful, with a step by step guide to stuffing and completing your bears, including tips if you run into any issues with the stuffing or zip. 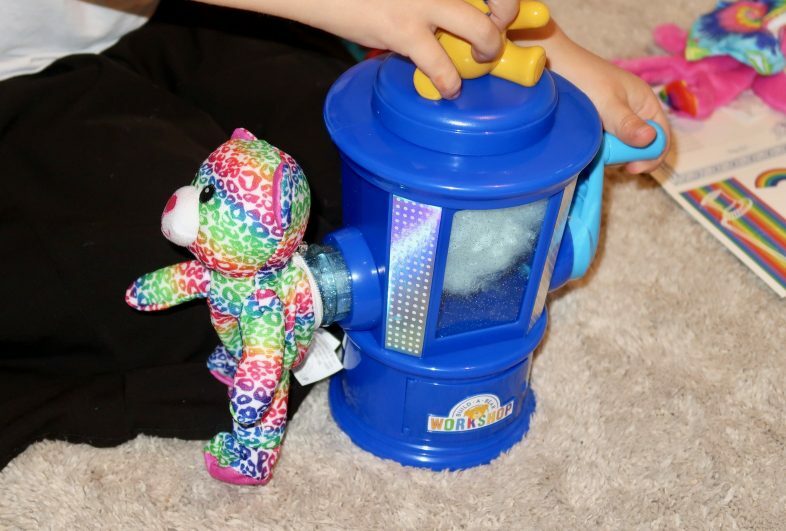 To stuff your bear you empty a bag of stuffing material into the stuffing machine, and then place your bear ‘skin’ on the output of the machine, before turning the handle to wind the stuffing into your bear. 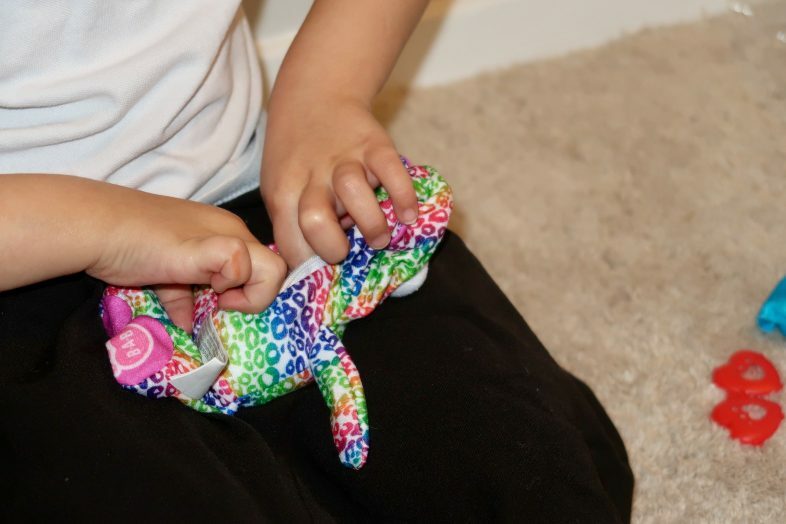 When the bear pops off, you manipulate the stuffing with your fingers into the arms, legs and head of the bear, before putting back on the machine to add more stuffing. 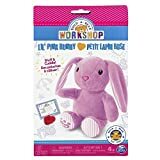 You repeat this a few times until all the stuffing is in the bear, then write a wish on one of the cardboard hearts to place inside the plastic heart container, and pop it inside the bear before zipping it up. Lydia was very happy with her completed bears! She had fun playing with the cardboard accessories and dressing them up in their t-shirts, and she found the whole experience really entertaining. 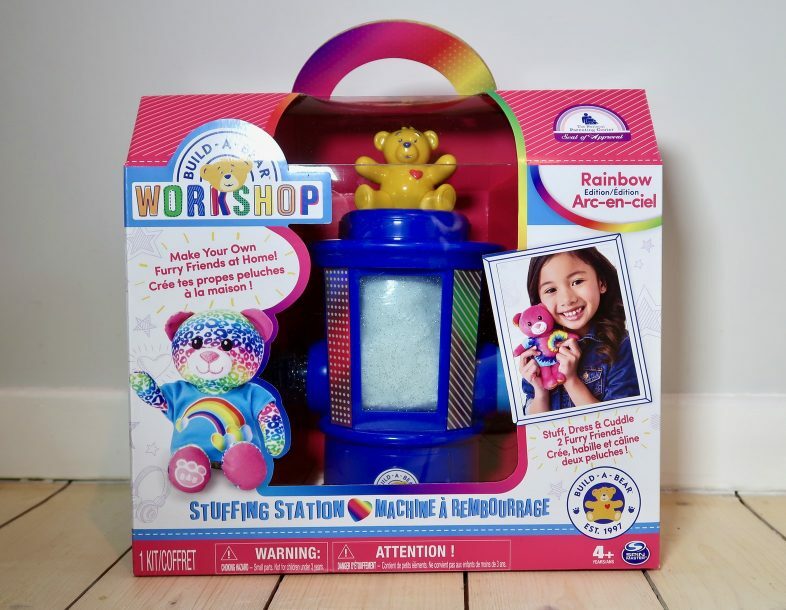 You can reuse the stuffing station by buying additional bear kits which are available online, and I can see us getting these for birthday or Christmas presents, or special “you’ve been extra good” treats! 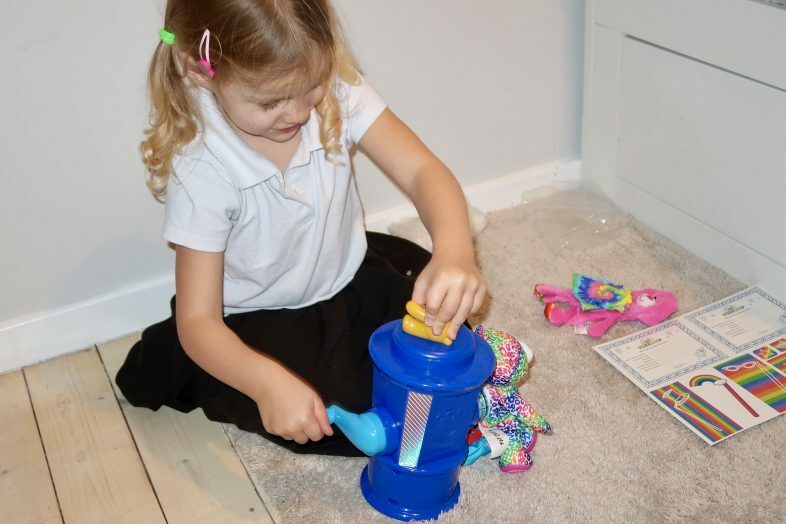 We give the station 4 stars – it worked well and Lydia enjoyed it but it is a tiny bit on the pricey side for something you can only use a few times, and then only again by buying more kits. 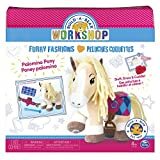 It would make the perfect present for a fan of the Build A Bear stores in particular, though!